This is Marble Painting with a twist. If you are not new to this blog, you should know by now that my boys are cars fanatics. Their cars are usually within their reach during craft time. Marble Painting is a regular craft for us. We do it every now and then. Especially during times when I'm short of time but the boys are desperately asking for their activity time. Today, the boys did their marble painting a little differently and I welcome the change. Instead of holding the sides of the box to roll their marbles around, they used their cars to push the marbles. This was entirely their own initiative. How creative! I love it when they show me how things can be played in different ways. While we as parents will usually think that we are the ones teaching them, I often think they are the ones teaching us and showing us how the world can work in different ways. 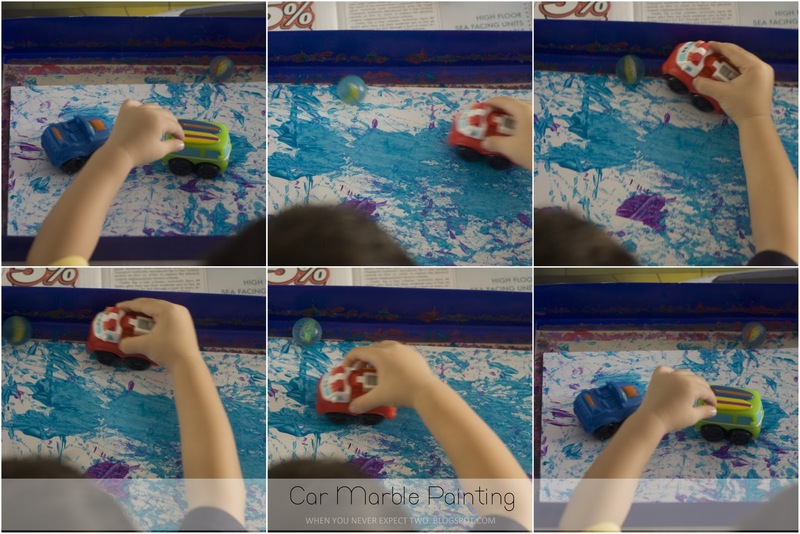 Just push or hit the marbles with the cars and it will roll the paint all over, creating patterns. My sons love the sound of the cars hitting the marbles. And they were thrilled when the marble they pushed hit another marble. Have fun! We have tried marble painting with, erm, marbles. They kept getting stuck. So reckon the cards will be a brilliant addition!! Awesome! Thanks for posting, mind if I link to it when we do cars? Car painting surely is fun especially when you do it with the kids, LOL! 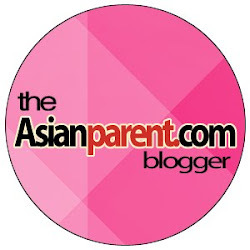 Toddler Tactics: How Do You Handle Meltdowns? Toddler Tactics: How do you avoid Bath Struggles?